When the pressure is on to find the cause of an electrical problem and fix it straight away, how would you like to see the hot spots as soon as you arrived, so you could get on with the fix without delay? 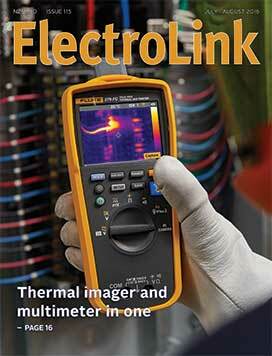 Now you can with the new 279 FC multimeter from Fluke. It is the first digital multimeter on the market with in-built thermal vision that can show you where the likely source of the problem is and have it diagnosed accurately, long before you ever could using a conventional multimeter, says Fluke’s product application engineer, David Farquharson. He says the new Fluke 279 FC combination thermal imager and multimeter is the smartest tool you can have in your toolbox today. 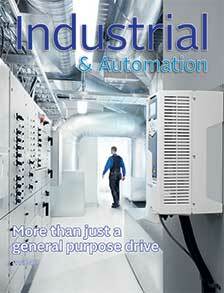 “It’s a real game changer for everyone working on electrical systems. If you are responsible for keeping industrial processes up and running safely, efficiently, and cost-effectively, with a Fluke 279 FC you can narrow down a problem area in seconds – and from a safe distance. A pathway to develop more reliable inspections of prescribed electrical work could be in progress before the end of this year, if the minister responsible for WorkSafe gives approval for an amendment to the Electricity Regulations to get underway soon. Already there are ten key areas targeted for revision in the expected 2017 amendment, and the upgrading of the regulatory requirements surrounding inspection are one of them. The changes to inspection follow discussions with the industry that began a year ago when Energy Safety voiced its concerns over the lack of apparent competence in the inspectorate. Who carries the can for the compliance of fittings? Following an electrical equipment regulatory compliance workshop hosted by WorkSafe in May, questions remained as to how suppliers should declare the safety and compliance of the products they supply, now that two methods of documentation are cited in the law. How installers should respond to that documentation raises even more questions. The verification of a product’s safety and compliance meets installation safety and compliance in the certification of the prescribed electrical work for its installation. But the link is a tenuous one because there is nothing in the Electricity Regulations covering the certification of installations or works that requires an installer to certify the safety and compliance of the fittings he installs. Certifiers issuing a Certificate of Compliance (CoC) are required to certify only the safety and compliance of the prescribed electrical work carried out on fittings and appliances where they become part of an installation, but not the fittings and appliances themselves. When a Gisborne winery asked Greg Williams to install the latest variable speed drive of an unfamiliar brand, he thought he was in for a challenging time. He had never set up and commissioned an ABB drive before and expected “a good couple of hours of headaches” wading through pages of manual trying to figure out how to configure the new generation ACS580 the winery had acquired. But it wasn’t long before his concerns evaporated and he was able to get the new ABB drive up and running in no more time than it would have taken to install a drive previously during his 12 years in the industry. Williams works for electrical contractor SE Systems and has installed enough drives to appreciate the similarities and differences between drives from different suppliers. He says he found the ACS580 surprisingly intuitive and easy to work on. Colloquially referred to as the fourth industrial revolution or Industry 4.0 – the industrial internet is making rapid strides towards becoming the legacy technology of tomorrow as the digital and analogue worlds collide in a new era of factory automation. Just as the smart phone has changed every facet of voice and data communication, the convergence of physical and cyber systems connected by the Internet of Things is giving automation engineers far greater insight and clarity into their production processes. Rapid advances in industrial automation are creating machines and processes that are fully digitised and equipped with newfound intelligence and self-awareness. This not only enables machines to operate autonomously but dynamically with each other. Following a solid entry to the domestic lighting market two and a half years ago, HPM Legrand is now releasing the first of its commercial luminaires to broaden the company’s lighting offer beyond its substantial emergency lighting base. Marketed under the Legrand brand, the new Vortex LED high bay is designed to replace 400 watt HID fittings and the new Luminess LED flat panel series is designed as an effective replacement for fluorescent troffers. 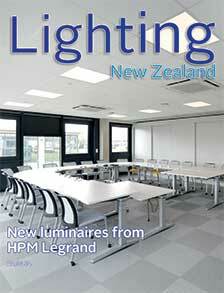 HPM Legrand’s New Zealand country manager Jeff Butler says the commercial lighting products are coming to market under the Legrand banner and HPM will continue to be the brand for the domestic ranges. “We have had a great response to the domestic downlights and the interior and exterior fittings we have introduced over the past two years, particularly from contractors up and down the country who rely on wiring accessories such as Legrand Excel Life for a complete residential fit-out. Since Edison and Swan demonstrated their electric lamps in 1879, the development of those little LED indicator lamps into effective sources of illumination must rank as the most significant technical breakthrough in the history of electric lighting. There is, however, cause for concern. Are the LEDs that are going into our lighting installations making the best possible use of the all that these revolutionary light sources have to offer? Demand for lighting products is driven by the retrofit market, which is many times larger than the demand for lighting products that are being installed in new installations. LED manufacturers and suppliers maintain contact with electrical distributors, and from them they are able to keep track of demand.